Have you already chosen which kind of car to rent for you wedding day? Everyone knows that the wedding ceremony begins when the bride opens the car door and gets into the church. Whether is gonna be a vintage car or an high-performance one, you will have to well decorated it. 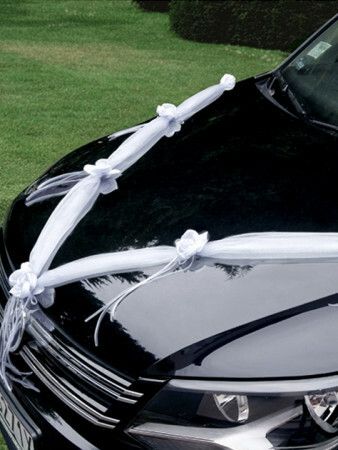 In our online store you might find a lot of car decorations, but this white wedding car decoration is the most popular one. Every bride and groom dream to see the hood embellished with sweet withe roses.